Take time out this Easter and visit Wiltshire – a timeless county with lots of family-friendly things to do! Whether you’re looking for a short break away or day out for the family, including what’s on, attractions to visit and places to stay, we’ve got you covered. Why not take part in one of the Easter Egg Hunts that will be happening around the county including at the National Trust properties of Stourhead and Mompesson House. Bowood House & Gardens will be opening for their new 2017 season on 1 April and they have an Easter Bunny Trail running from Friday 14 – Monday 17 April. 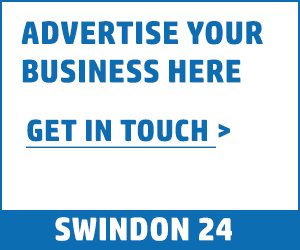 Hop aboard the Easter Egg-spress and meet the Easter Bunny as he travels on the Swindon & Cricklade Railway where children will each receive a chocolate egg. Visit Crofton Beam Engines for their Easter steaming weekend from Saturday 15 – Monday 17 April. Sample some treats at an Easter chocolate tasting workshop at Goodfayre in Cross Keys Arcade, Salisbury. Children both big and small will enjoy the chance to taste chocolate from around the world. If you fancy some non-stop racing car action, then the Spring Action Day at Castle Combe Circuit on Saturday 8 April is a must. It’s the official start to the performance car season with drifting demos and passenger rides. Petrol heads will love it! The Devizes to Westminster International Canoe Race is taking place over Easter weekend is where visitors can see canoeists begin their gruelling journey in Devizes along the Kennet & Avon Canal. Look out for children’s TV star Steve Backshall who is taking part this year! Experience the dangers and delights of Dinosaur World in the interactive show taking place at Swindon’s Wyven Theatre from Wednesday 19 – Thursday 20 April. Suitable for ages 3+. Don’t forget to check out Salisbury Playhouse, Salisbury Arts Centre, The Pound Arts Centre and Wiltshire Music Centre for additional ideas. Salisbury Cathedral will be holding various services during the Holy Week. The Churches Conservation Trust’s Imber Church has its Easter Open Days from Friday 14 – Monday 17 April from 11am – 4pm. This is a rare opportunity to visit the ‘lost’ village of Imber in the heart of Salisbury Plain. 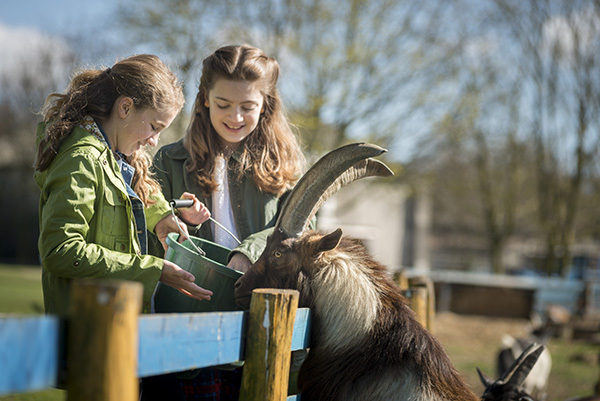 A number of Wiltshire attractions have plenty of new animals born at this time of year including Roves Farm, Cholderton Charlie’s Farm and Studley Grange Butterfly World and Craft Village. Open from Saturday 8 April, visitors can look out for the swarm of Marvellous Monsters, 20+ larger-than-life animatronic bugs, which will be taking over the park in order to raise awareness for the need to conserve these species. Visitors will come face to face (or maybe eye to antennae) with these humongous creepy crawlies and get a brand new perspective on these bizarre but fascinating creatures. 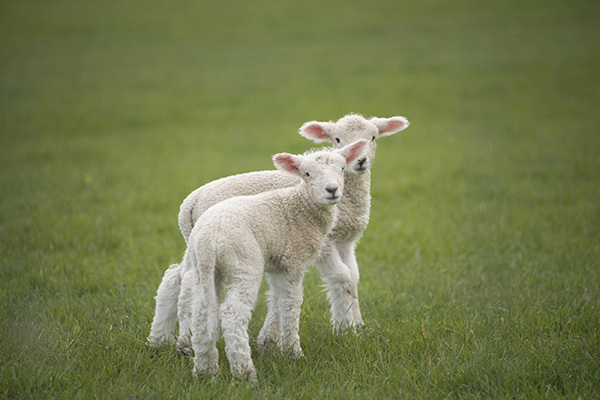 Trowbridge Museum will be running various craft activities for young children over the Easter holidays including making delicate daffodils and woolly lambs! Wiltshire Museum in Devizes will be offering textiles and felt-making activities suitable for ages 11 and under on Wednesday 19 April and The Salisbury Museum will be giving you the chance to help make a giant mosaic for Easter followed by storytelling and an Easter archaeology trail on Saturday 15 April. Take a trip to The Merchant’s House on Marlborough High Street and learn about the conservation of this impressive 17thcentury house. Find the clues and crack the codes at Salisbury Escape Rooms or 11th Hour Escape Rooms. Enjoy a spot of ‘indoor’ retail therapy at McArthurGlen Designer Outlet Swindon or Cross Keys Arcade in Salisbury. Improve your culinary skills at one of the Wiltshire cookery schools, Vaughan’s Cookery School, Lucknam Park Cookery School or The Farm Cookery School.